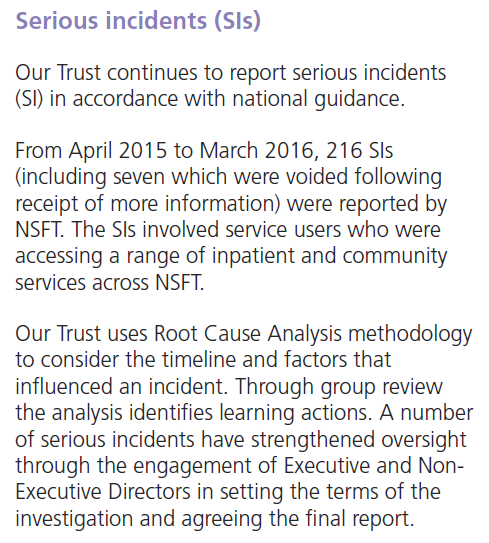 At the AGM, NSFT will publish its Annual Report and Accounts 2015-16. 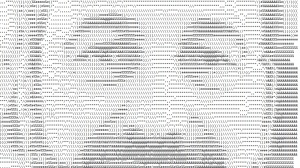 This is our guide. 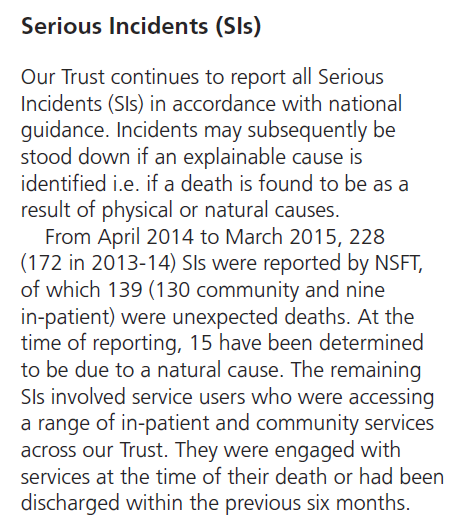 Page numbers refer to the NSFT Annual Report and Accounts 2015-16. 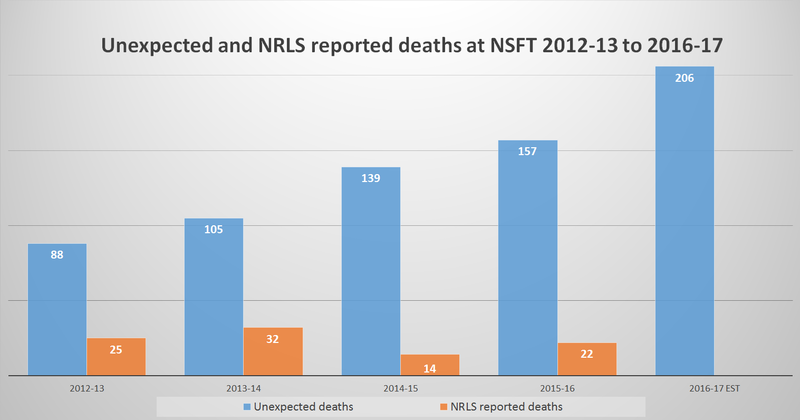 Incident reporting data (NRLS) deaths reduce as unexpected deaths increase? 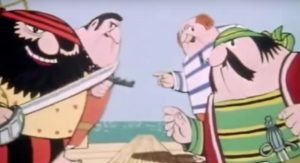 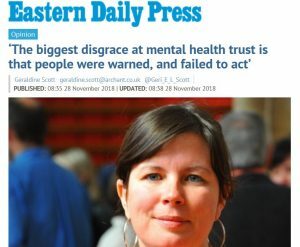 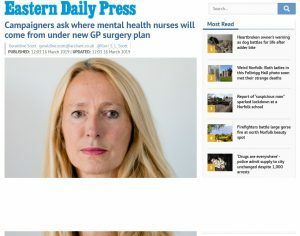 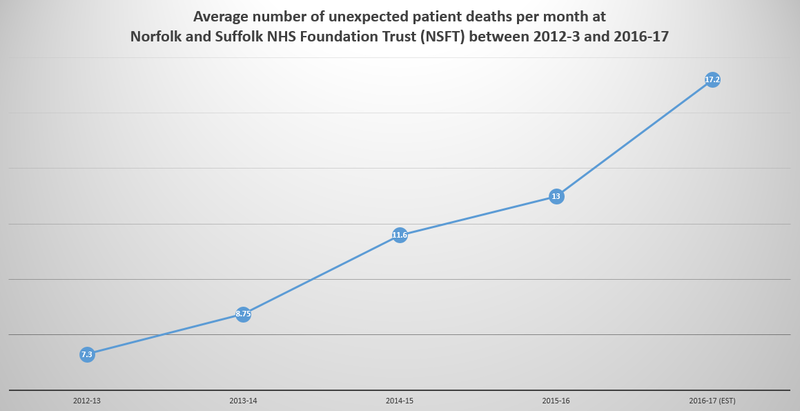 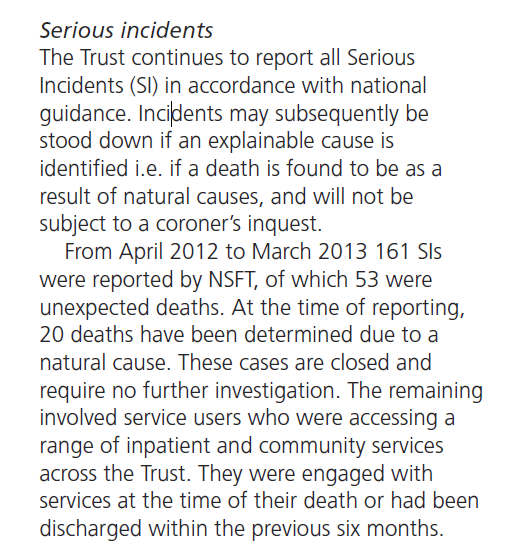 Has NSFT unilaterally changed its interpretation of the National Reporting and Learning System (NRLS) to reduce the number of deaths reported? 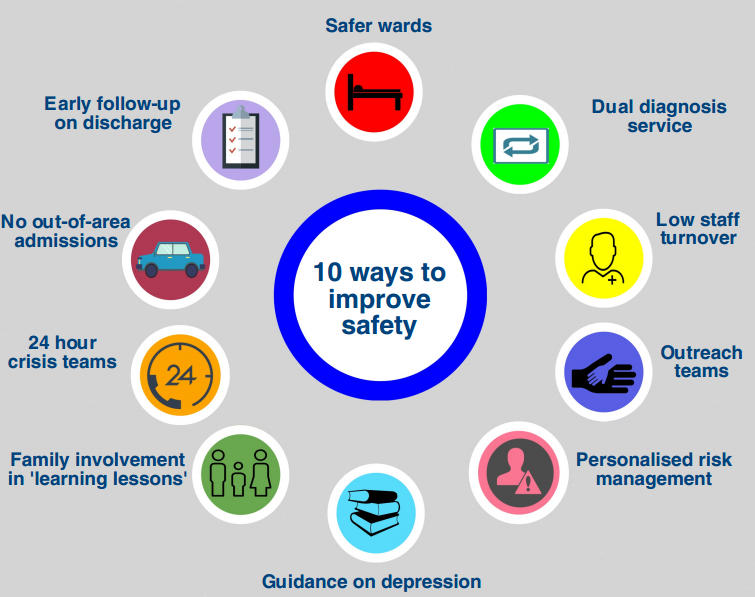 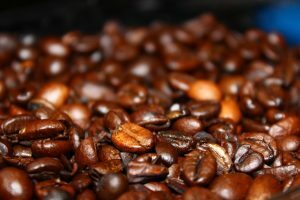 You can download this guide as a pdf document. 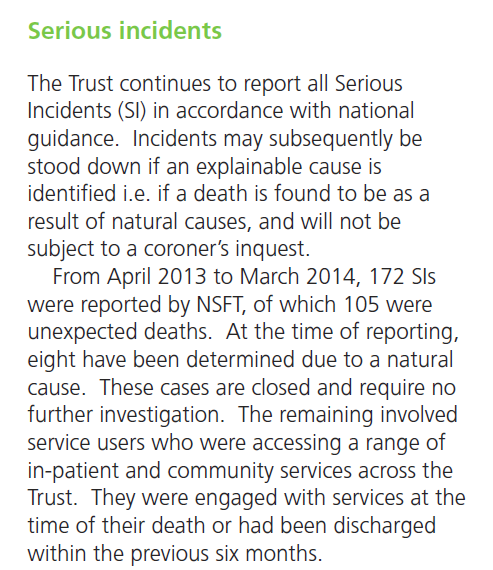 And the unexpected deaths do not take into all those poor frail older people moved hundreds of miles for a bed because the trust didn’t have any, and then died out of area. 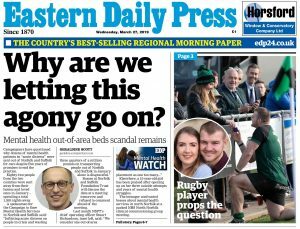 Where’s the stats on those, because I can guarantee that their frail, confused, poor physical states were NOT improved by carting them all over the country often hundreds of miles to find a bed.